If you’ve just heard about this make money online opportunity called Paid Surveys At Home, slow down and let me tell you what you’re getting yourself into first! I’ve seen far too many people dive into things before actually knowing if the claims are real, what type of business it is and most especially, what they’ll be doing to make the money as claimed. Survey sites have been around for a very long time but this is the first time I’ve heard about this specific one, and I want to figure out everything they are offering. So take the time to read this Paid Surveys at Home review before actually applying so you know if it’s a good choice for you or an outright waste of time. No real information about the owner can be can be found anywhere on this website. There is no “about me” page, however, the domain name is registered under “Harris Fellman” who lives in Las Vegas. This man has been doing online marketing for over 20 years and wants to help others become richer, not just in money but with everything in life. PSAH has been around for a long time, dating all the way back to 2004! It isn’t receiving much organic traffic which means most of their visitors are coming from other traffic sources. 57% is direct traffic meaning people are simply typing www.paid-surveys-at-home.com into their address bar and accessing the program. This is a sign that there are repeat visitors, which is always a good thing. There is no social media or email traffic. On their official website they claim you can stay at home and get paid for your opinion. They claim all you need to do is wake up in the morning, check your email for new surveys, do the surveys and get paid on completion. That means as soon as you’re done, the money shows in your account. They believe they’ve found the best companies that’ll pay good money for your opinion. Lets figure out if these people stand up to these claims or if they’re downright lies! Paid Surveys at Home provides a list of survey sites for you to sign up to and complete surveys. It is the “middle man” and that’s it. It just provides the database for you to choose different survey sites and that’s it…nothing totally special here if you ask me. You are basically paying a fee to gain access their list of paid survey sites. You invest your money into Paid Surveys At Home but you’ll be working from other websites to gain your investment back. This is nothing new my friend, as there are literally thousands of survey sites out there. So what makes PSAH different from the rest? Well they claim that they have teamed up with some of the best survey companies in the world so you get the best earnings possible. However, I beg to differ because there are reports that some of the surveys sites in their list aren’t even legit! Something I do find interesting is their earnings calculator. They have a maximum of 3 total surveys that you can choose along with how much money you earn for those 3 surveys. Personally I think it is a selling tactic. When people see that they can earn $45 for doing only just 1 survey, they’re going to want to join right away because it seems like easy money. Earning $45 per survey is out of the question and I can tell you that right now because doing surveys for a living isn’t even possible! They also have an affiliate program that allows you to earn commissions whenever someone signs up and pays through your link. At the time of writing this article, commissions are 75% and average earnings per sale are $25. And it’s actually one of the best converting survey sites on Clickbank.com surprisingly, which is probably due to their highly misleading earnings calculator! Realistically How Much Money Can You Earn? Completing surveys is not going to make you a whole lot of money my friend. Even if you decide to sign up with the best of the best paid survey sites on the internet, there’s still no room for growth, not enough time in a day and definitely not enough earnings to quit your day job. Realistically speaking, you will earn around $0.30 to $1.50 per survey, and that’s on a good day. Surveys can take up to 20 minutes to over an hour and even the long ones don’t pay you good money! You could be earning $5 if you’re lucky enough to find one of these surveys. At best you MIGHT earn $20 working for 10 hours every single day. But that’s really only possible if you don’t have a job already. Paid surveys are for anyone looking to make a few extra dollars per month. Because the time taken to complete surveys is long and earnings are low, there is certainly not enough potential to make a living wage. So if you have a few spare hours in a day, you can do surveys and earn a little money that can add up to a decent amount by the end of the month. This is a good idea for students, parents, income seekers or broke people that need more money. Does it Cost to Join? Yes it does cost to join PSAH and this is the biggest problem. Finding a full list of surveys can be found for free just by doing a quick Google search, which takes literally one second. But to get access to the list of surveys at Paid Surveys at Home, you have to get your wallet and credit card out and hand over $68 of your hard earned money. However when you try to leave, the price continues to come down and that is a clear sign that the owner just wants your money! Is Paid Surveys at Home a Scam? This system is very untrustworthy and highly misleading in every way shape and form. 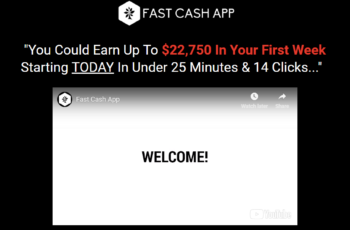 The fact is: the owner hypes this thing up on the sales page with claims that you can earn an easy $20 with a 20 minute survey, but again, this is far from the truth. You’ll be lucky go get even $1 for that time spent! Of course getting paid for your opinion is a possibility as thousands of people are doing it around the globe, but to earn the high amounts of money these websites are claiming, it is definitely not going to happen. I did not want to call this system a scam, however, it is a dishonest scheme in so many ways and uses hype words and false advertising to get people to join. This in turn makes it a scam because you will NOT earn the money they say you will no matter how hard you try and time you put in. Your financial problems aren’t going to go away participating in online surveys my friend. You’ll have a much better chance of creating a sustainable income on the internet with a website. 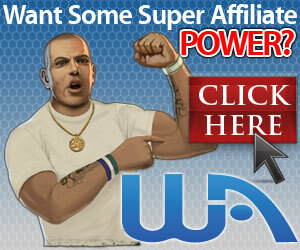 I have many websites just like this one gaining traffic as we speak and yes, lots of sales. Your solution to make money lies with your own online business, NOT filling out surveys for hours and only earning a few dollars. That’s why anyone looking to make money online needs to stop looking for short term rewards and start looking for the long term. 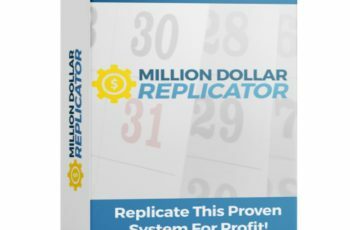 My #1 recommendation has the true power to earn you a lot of money and that’s why I recommend it without hesitation. Let me know in the comments what you think of Paid Surveys at Home! 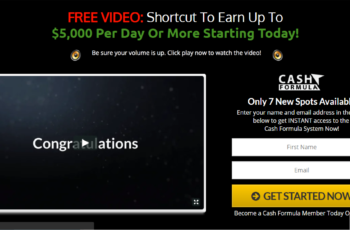 No Cost Income Stream 2.0 Review: Legit or Downright Scam? 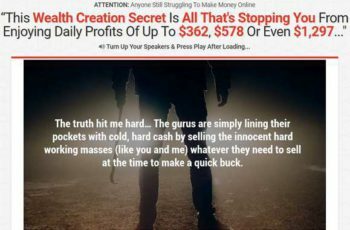 Is Club 365 a Scam or Legit Way to Make Money Online? 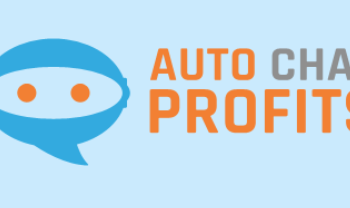 Voice Cash Pro Review – Scam or $550 Your First Day? 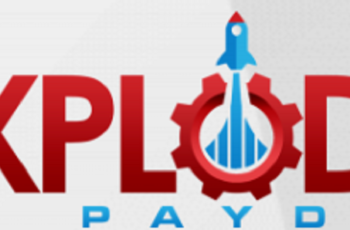 Is Explode My Payday a Scam or Real Deal? I was actually just signing up to a few and my wife has been trying some out over the last few days. People always make it sound so simple and easy and she has quickly noticed that the surveys coming through are for peanuts and still quite time-consuming. Your review makes more sense now!! We are currently living in Qatar too which also means a lot of survey sites won’t accept us so we don’t even have the best selection of sites now. Thanks for the heads up and making it clear who taking surveys should be for! Do not sign up to survey sites unless you’re after chump change Mike. I’m glad you understand what survey sites are really about and that you and your wife stay away from them. I know you’re looking for a true business to make a lot of money…Paid Surveys At Home cannot offer that and it will NEVER offer you true the freedom you’re looking for. I found your site after seeing a advert for paid surveys at home and wanted to check to see if it was a genuine way of making a full time income like the advert said, I am really glad I did check your page out because I’m not going to lie there ad was very persuasive and it almost had me reaching for my wallet, so thanks for saving me almost $70 and wasting my time. Luckily you found my article so you could avoid it and save money 😀 Thanks for stopping by Jason I hope you found something that works for you. Nope, that is an easy no, lol. Don’t bother if you’re trying to make a decent income online. My name is Brandon and I’m from New Zealand. I have quit many jobs throughout the years. They were making me unhappy and stressing me out all the time. They were all low-paying and I wanted more out of life. After years of dedication I finally found what I truly want in this world.